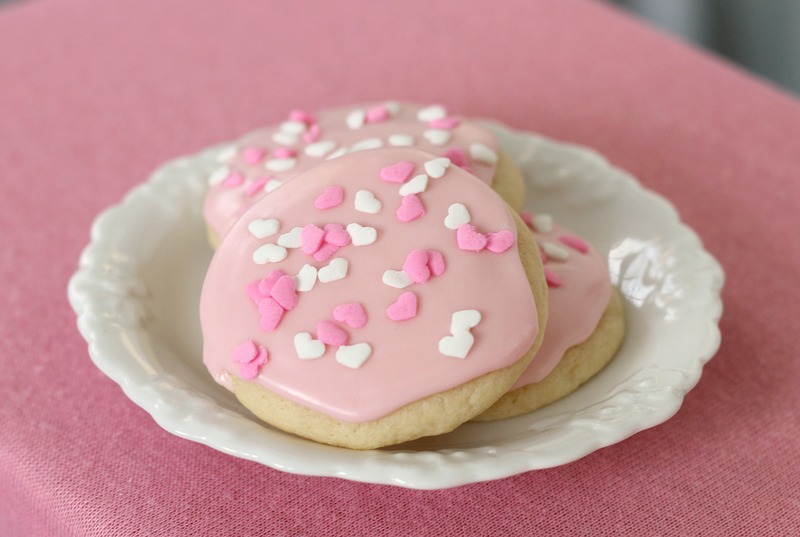 No doubt you have likely had a Lofthouse sugar cookie- super soft with a very thick layer of frosting. It’s weird that they are hard to resist, because if you think about it, a) they couldn’t be faker tasting and b) how do they manage to look so pale even after being baked? Well, these are supposed to be a homemade version of that cookie. While they don’t exactly replicate the store bought kind (real ingredients will never taste the same as fake ones, but that’s a good thing! ), they are a hundred times better! These cookies are soft and buttery with great vanilla flavor. One cookie with a glass of milk makes an ideal snack, and our family and friends at school loved them. Your family and friends will love them too-trust us! P.S. Sprinkles are a must! Line baking sheets with parchment paper and set aside. Whisk together flour, baking powder and salt in a medium bowl. In the bowl of a stand mixer fitted with the paddle attachment, beat the butter and sugar together on medium-high speed until light and fluffy, 2-3 minutes. Beat in the eggs one at a time, mixing well after each addition. Blend in the vanilla and reduce mixer speed to low. Gradually add in the flour mixture until just incorporated. Cover and chill the dough for one hour. Once the dough has been chilled, preheat oven to 350º. Scoop a scant quarter cup (or less, if you want a smaller cookie) and roll into a ball. Flatten into a thick disk and place on the prepared baking sheet. Repeat with remaining dough, spacing the cookies at least 2 inches apart. Bake for 10-12 minutes until just set, taking care not to overbake. The edges will be barely browned, if at all. Allow to cool on the baking sheet for several minutes before transferring to a wire rack to cool completely. To make the frosting, place the confectioner’s sugar in a medium bowl. Whisk in the melted butter, vanilla and milk. Continue whisking until smooth, adding more milk as needed, a tablespoon at a time, to reach your desired consistency. Tint with food coloring, if desired. 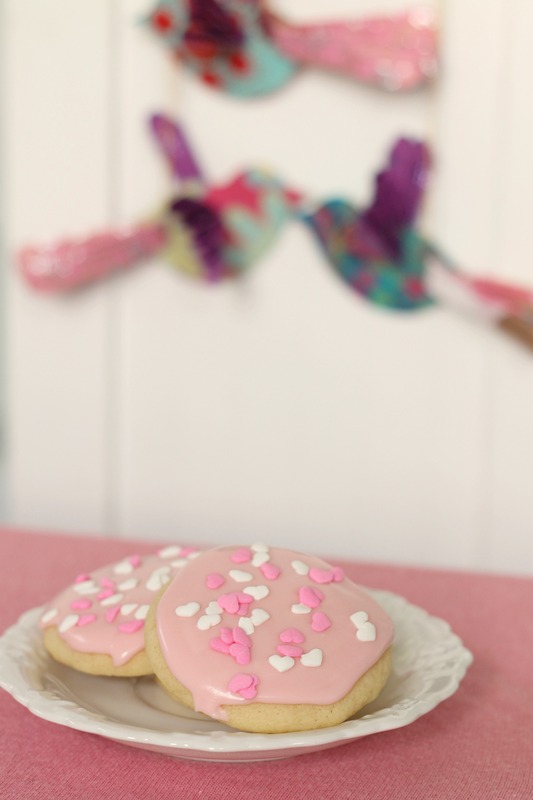 Use an offset spatula to frost the cookies, and top with sprinkles if desired. If the frosting becomes too thick to be workable, whisk in additional milk. Store in an airtight container after frosting has set. Enjoy!